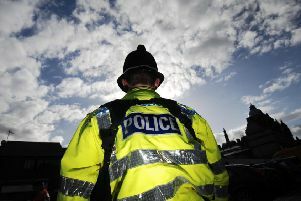 Police have confirmed that an item seized during a pre-planned operation in Burnley was an imitation stun gun. The huge operation last week saw a number of roads cordoned off by police around Dall Street while police searched an address following the arrest of a 30-year-old man on suspected firearms offences. A number of homes on Hollingreave Road, Dall Street, Reed Street, Parkinson Street and Brunswick Street were evacuated with residents gathering at Burnley Wood Community Centre while the operation, which also involved the Explosives Ordnance Department, took place. Other emergency serives, including a support squad from Blackpool, also took part in the operation which lasted for several hours. A police spokesman said: “The items found at the address included what appear to be a form of improvised stun gun, as well a number of regular household items that appeared suspicious at first observation but were found to be of no concern.